To get the last drop out of every wonderful bottle of wine, the Wine Shield is the answer. It’s a disc that is inserted into an open bottle of wine, and it extends the life of wine for up to 5 days by shielding it against oxidation. This shield (disc) is constructed of approved food contact plastic, and will fit 9 out of 10 wine bottle sizes. One it is inserted into the neck of the bottle and falls onto the surface of the wine, it create an air barrier. You can buy it online at http://winehardware.com/; a pack of 6 is $5.99 or 50 for $29.99. If your wine drinking friends have more than 12 bottles on hand, sometimes it is difficult to keep track of what’s in the wine rack or boxes hither and yon. 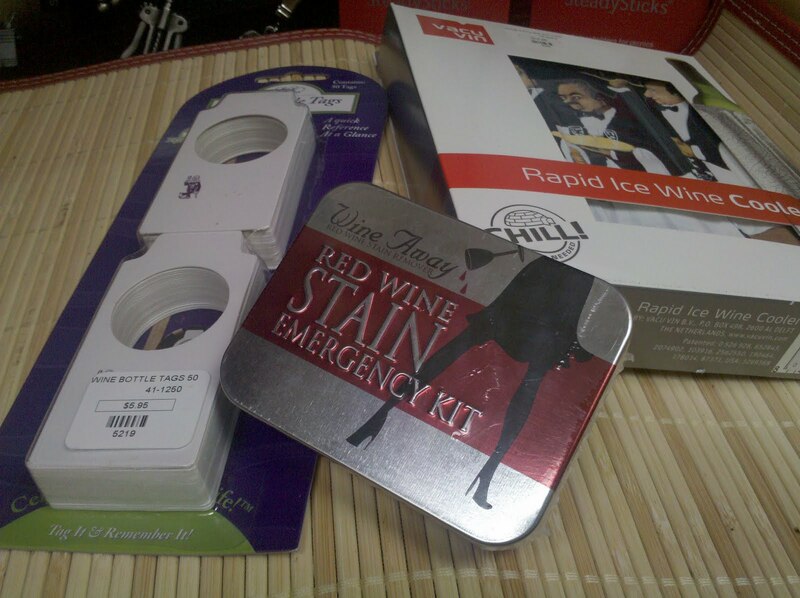 I personally use the disposable Wine Bottle Tags from Epic Products. These tags go over the neck of the bottle, and you can write the essential information you need: winery, year, varietal and maybe price. Buy them at many wine stores, about $5-6 for a pack of 50 (p.s. you can write on the opposite side too, so essentially you are covered for 100 bottles….) or order from Epic Products at http://www.epicstyle.com/. There are also reusable tags where you wipe off the ink, and those are also available in a gift set includes 20 plastic tags and an erasable pen, $6.95 on the Epic website. Taking a bottle of chilled white wine to your hostess? Take it in an insulated single bottle carrier. It has a snap flap, carrying handle and pocketed waiters corkscrew. $18.95, from Epic Products. For more information on dining and the wide range of activities around Lake Tahoe, see the online version of The Tahoe Weekly. This article appeared in my column "It's Grape" in June 2010. Watch for my forthcoming book: "Wineries of the Sierra and Its Foothills". 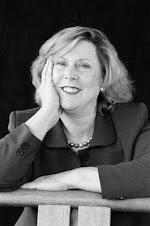 Publication date early Summer 2011, Wine Appreciation Guild Publishing. It’s not often that you hear a wine expert talk about QPR – the Quality/Price Ratio – but Jeff Boyer, wine consultant and wine list developer for Cottonwood Restaurant in Truckee, is not hesitant to use this phrase to describe his philosophy about wine. That’s one of the reasons that the wine list at Cottonwood is so exceptional and approachable for diners. You must experience it for yourself. Winter or summer, the views are far reaching and intensely interesting. The wine and food equally so! As you relax into the view, you can enjoy a glass of Albariño -- one of my favorite summer wines – that was presented with a Thai coconut curry soup . The Paco & Lola Albariño from Rias Biaxas, Spain, practically dances on the palate – appropriately so, as the wine is named after famous flamenco dancers! Flavors of pineapple, white flower, lots of tropical notes. A golden color. 12.5% alcohol. $35/bottle. One of Cottonwood’s signature dishes, Caesar salad, features dressing made to order for each salad. It’s a garlic-lover’s delight, and garlic can present wine pairing challenges. Jeff chose the 2007 Matanzas Creek Sauvignon Blanc, Sonoma County, a “signature wine” in his opinion, and it was perfect with the Caesar. This can be considered an iconic wine; Merry Edwards was the first wine maker at Matanzas Creek. Most of the fruit comes from Bennett Valley, and although it is a very simple wine by itself, it tastes like a party in the mouth alongside the Caesar. 13.5% alcohol. $24/Half-bottle. Another pairing with the Caesar is the 2008 Longboat Sauvignon Blanc, Marlborough, New Zealand. Longboat uses grapes from higher altitude vineyards – not exactly a mountain wine like my Sierra favorites, but still vineyards up to 1,000 feet in this case means that there is a bit more spice, particularly overtones of green bell pepper, in this wine. The grapes are handpicked and selected row by row. The result is a balanced acidity, flavors of grapefruit and then a nice spiciness. 12.5% alcohol. $8/glass, $31/bottle. The 2007 Pinot Noir from Stoller, Dundee Hills, is testimony to hard work by the winemaker, as 2007 was a difficult year for pinot. Located in the heart of Oregon's Willamette Valley, Stoller’s owners blend vineyard stewardship with environmental sustainability, and this was recognized in 2006 when Stoller became the first LEED® certified winemaking facility in the United States to attain the rare Gold level certification. Their pinot is fruit forward, balanced, and complex. You might smell and taste cinnamon, clove, and assorted red fruits, with a nice oakiness and yet sweetness too. 13.5% alcohol. $38/bottle. Paired with butternut squash ravioli in a sage brown butter sauce with pepitas and baby spinach. If you believe in saving the best for last, pay attention now! The restaurant’s braised 5-Dot Farms beef shortrib, in red wine and molasses au jus, with white cheddar creamy polenta…oh run, don’t walk! A Chilean red, a French Vine de Pays Grenache blend … The Cottonwood wine list will offer you many great choices, and they will all meet the QPR criteria. Cottonwood Restaurant is located at 10142 Rue Hilltop (Off Brockway Rd.) in Truckee. Open for dinner at 5:00pm nightly, call (530) 587-5711 for reservations. The Rhone, longest river in France, is home to notable vineyards that have produced wonderful wines since pre-Roman times. Considered to be some of the best wines in the world, the Rhone offers a Mediterranean climate and terroir that results in wines that have been described as wild. That perhaps is part of the reason that U.S. winemakers turned their attention to Rhone varietals such as Syrah, Grenache, Cinsault, Mouvedre, Viognier, Roussanne and Marsanne. Also, just maybe, American winemakers got a bit bored with cabernet and chardonnay. In the 1980s, encouraging results from experimentation with Rhone-style wines led several maverick American winemakers to forge ahead. By 1988, informal meetings to share information began, and in 1997, The Rhone Rangers was established with a core group of 13. Today, nearly 200 wineries belong to The Rhone Rangers, each winery producing at least one Rhone-style wine using a minimum of 75 percent of one or more of the 22 Rhone grape varieties approved in the Cotes-du-Rhone. 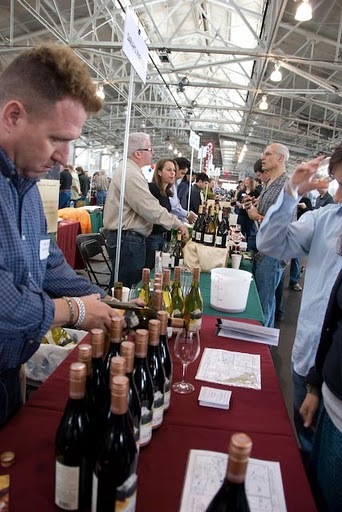 Every year in the spring, the Rhone Rangers holds a big tasting at Fort Mason in San Francisco. 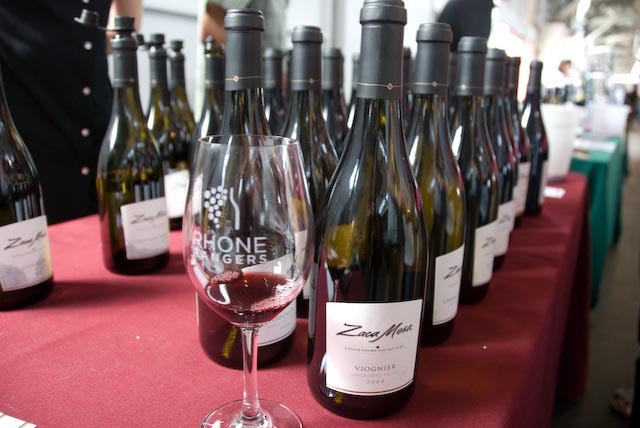 Of the hundreds of wineries there, I honed in on the ones that are a reasonable drive from Tahoe so you can experience the Rhone wines yourself first-hand. I’ve written before about the wonderful wines from Sierra Vista Winery in Placerville. One of the original Rhone Rangers, Sierra Vista owner and winemaker John MacCready never disappoints with his wines. His Fleur de Montagne, a red blend using fruit from El Dorado, is a personal favorite. Get it while it lasts at $23 per bottle. Visit http://www.sierravistawinery.com/. Holly’s Hill Vineyards is in the Pleasant Valley area of Placerville, just down the road from Sierra Vista. They poured eight Rhone wines (Rhone varietals are their entire focus) and the 2007 Patriarche, a red blend of 63 percent Mourvèdre, 19 percent Syrah, 13 percent Grenache and 5 percent Counoise, is tasty with blackberry, cherry, raspberry and floral highlights. With a nice acidity, it can stand up to a rich meal. 14.4 percent alcohol. $30 per bottle. Visit http://www.hollyshills.com/. The 2006 Roussanne, Renaissance Vineyard & Winery in Oregon House, Calif., takes us to the tastes of Yuba County fruit. A lovely pale gold in color, the aroma is tropical and herbal. There’s a bit of oakiness on the palate, but taste is strongly tropical with a good minerality. Winemaker Gideon Beinstock notes that this wine will age and transform over many years, possibly 10 to 15, and he suggests pairing it now with shellfish. Only 76 cases were produced. 12.8 percent alcohol. $35 by the bottle. Visit http://www.renaissancewinery.com/. At the same location, Clos Saron Winery prides itself on its limited production Pinot Noir, Syrah and non-traditional blends.